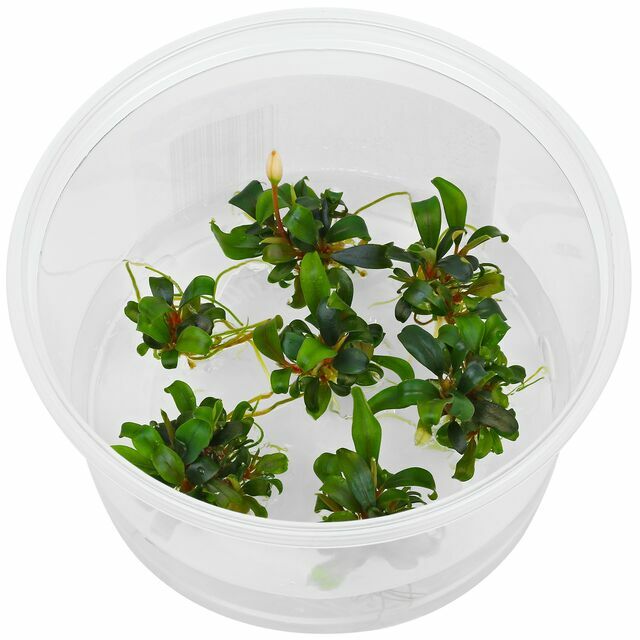 Originally, this plant was brought from the area around Serimbu, West Kalimantan, into the Netherlands, under the name Bucephalandra motleyana. It has been in cultivation since around 2004. However it does not belong to B. motleyana but is a yet unidentified species. We name it it provisionally "Braun/rot" ( = "Brown/Red"). Recently it is also traded with the label "Brownie", however it has nothing to do with the true "Brownie" forms from Kapuas Hulu. This Bucephalandra is medium-sized, has a creeping to ascending, densely branched rhizome and spatulate to oblanceolate rather flat leaves. The margin is only very slightly undulate. 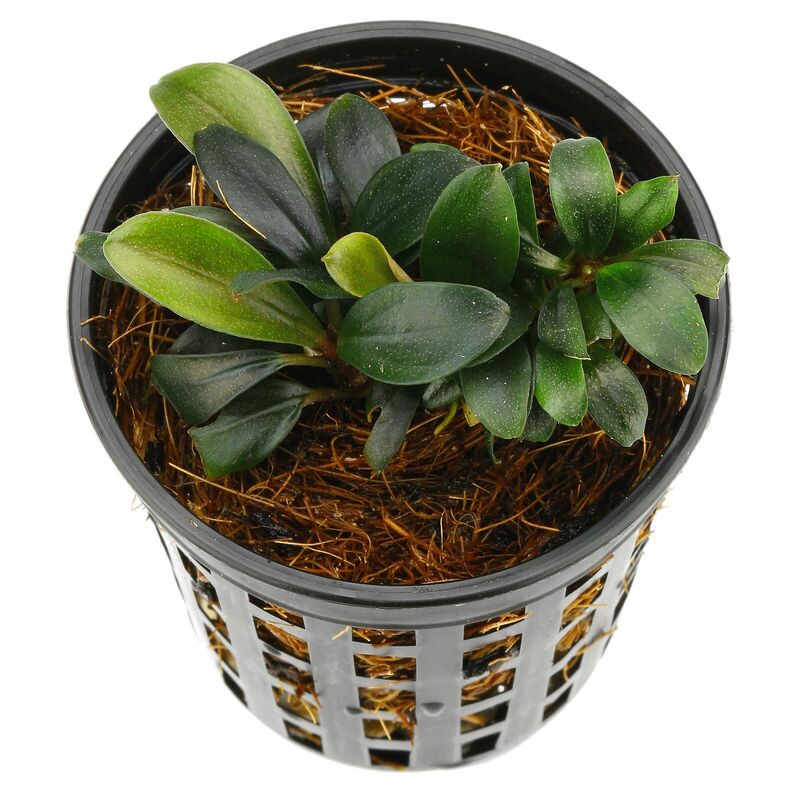 Young leaves are of a light brownish red to apricot colour and have a green iridescent hue, older leaves are dark green with a blueish-grey shine. 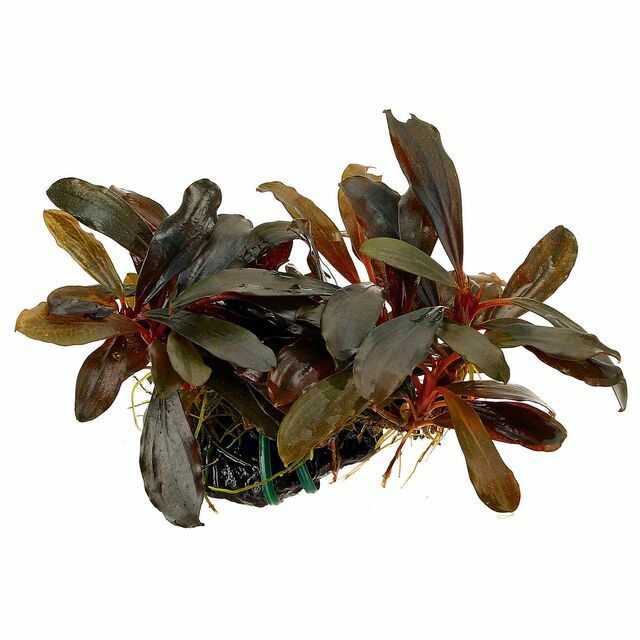 This Bucephalandra often flowers under water. It has a pale pink spathe. Like other Bucephalandra variants, "Braun/rot" can either be used as epiphytic plant for hardscape or be fixed on the substrate, e.g. with a small rock or a planting needle. Do not cover the rhizome, as it might rot. The roots will find their way into the substrate. 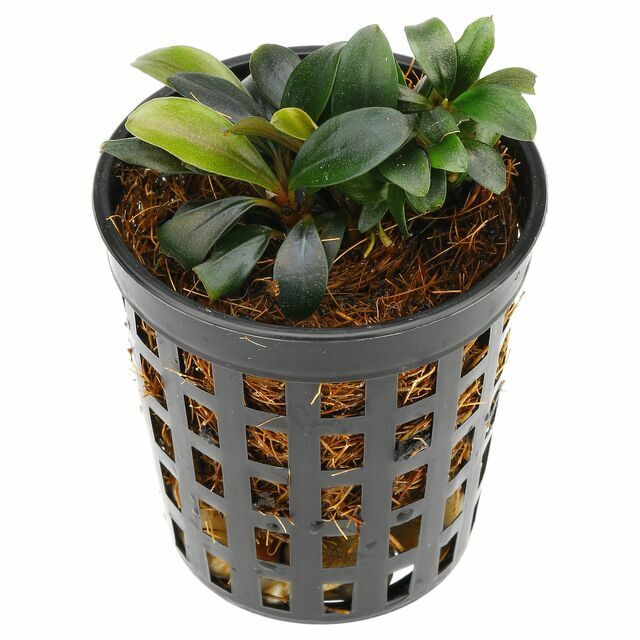 Plant received in excellent condition and with a very good size. 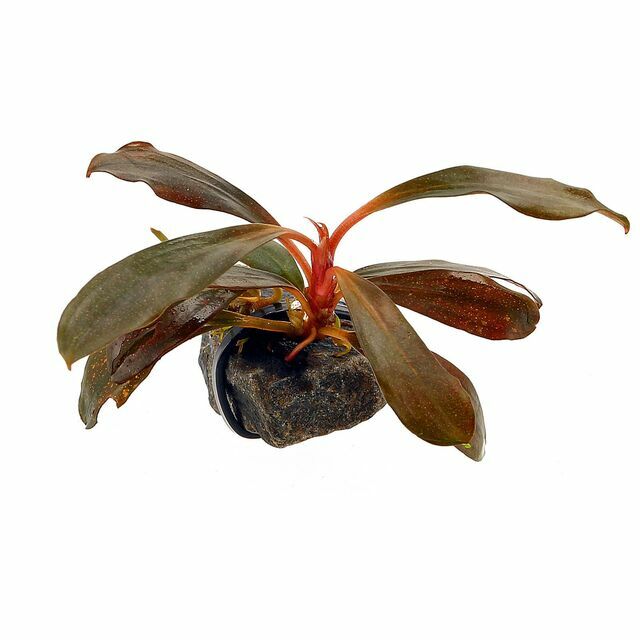 This plant has leaves more round and smaller than bucephalandra brown/rot narrow. Excellent addition to any aquarium.